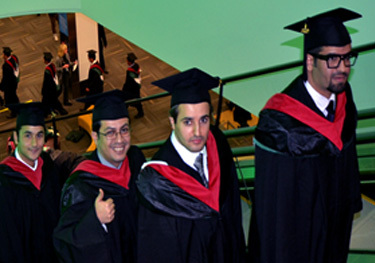 The annual SACB graduation ceremony and career fair was held at the Ottawa Convention Center from May 15th – 18th. During the event the CEAA was representing KACST as a whole and more specifically providing information about the JCEP Program. The CEAA was actively recruiting research positions in Riyadh for highly talented Saudi Arabian nationals with majors in electrical engineering, mechanical engineering, aerospace engineering and applied mathematics. The scope of the recruitment during the event included Saudi nationals holding Bachelors, Masters, or PhD degrees for a number of disciplines that directly match with the Center’s research project activities. The event was a great success with many applications being submitted directly to the JCEP and KACST website portals.